Royal Palm Beach is a small village in Florida that has just over 20,000 residents. This lovely community offers a variety of parks and museums for guests who are visiting the state. Local favorites include the Okeeheelee Park with its nature center, and the Calypso Bay Waterpark that has exciting water slides for adults and children. If a dental emergency occurs while you are visiting Royal Palm Beach, there are also plenty of great emergency dentists available to you. The Emergencydentistsusa.com website is the perfect location to start and finish your search for a new emergency dentist. Just log onto the website to scroll through our hand-selected Royal Palm Beach emergency dentists. Click on the dentist that offers the services that you need, and set up your first appointment. The Emergencydentistsusa.com website also offers driving directions to the dental office, office hours, and even services provided right at your fingertips. You can even take a look at the dental insurances that are accepted at the dental office that you choose. Need a little more help picking out a new dentist? Call our toll-free dentist finder hotline and speak with a caring agent who is standing by to help you choose a dentist now. You can speak with an agent who helps you to set up your first appointment and get driving directions 24-hours a day. Remember to arrive at your first appointment at least 15 minutes early so that you have time to fill out the new patient paperwork. Bring your driver’s license and a photo ID with you to the dental office. Royal Palm Beach is a wonderful location for a vacation in Florida. This little village is also a great place to be when a dental emergency strikes. Scroll below to see three of our top choices for emergency dental services in Royal Palm Beach. Description: Whether you require dental implants, an emergency dental visit, or cosmetic dentistry, KA Dental Group is standing by to help you now. Caring dentists and a friendly staff make it simple to relax at this dental clinic. Convenient office hours are designed so that you can have a dental appointment that suits your needs. Description: From general dentistry to an endodontist who is ready to help you get your gums back in shape, Aspen Dental is standing by for your dental problem. Located in the heart of Royal Palm Beach, this dental clinic is convenient for anyone visiting the city. Office hours are designed to make your dental appointment a breeze for you. Description: In his family dental clinic in Royal Palm Beach, Dr. Elkind provides general dental care in a comfortable atmosphere. This dental office accepts most insurances and provides cosmetic and restorative dental care for the whole family. Same day emergency appointments are available at Dr. Elkind’s dental clinic. When your toothache pain lasts for more than an hour or two, it is definitely time to see your emergency dentist. Tooth problems that begin with an accident like a fall require a visit to the hospital emergency room or an urgent care clinic as soon as possible. Once the doctor has cleared you, you can head to your Royal Palm Beach emergency dental clinic to have that tooth pain addressed. Many dental emergencies include cracked or broken teeth, lost fillings, or even a painful abscess. 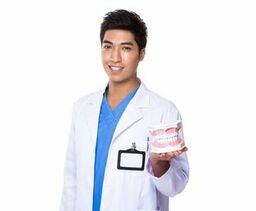 When you choose a new dentist in Royal Palm Beach, it is important to ensure that your dentist is properly licensed and credentialed in the state of Florida. You can use the Florida Dental Association website to determine if your dentist is licensed in your state. Just log onto the website and enter your dentist’s name in the search box. You can view licensing and credentialing documents right online. You can also see these documents when you visit the dental clinic. Simply speak with the dental receptionist to take a look at your new dentist’s license.